We understand the process and have built thousands of websites. That history helps produce affordable, practical solutions that become popular. We help our clients achieve their goals while providing value and adding profit. Many of our clients tell us their website is their lifeline to business success. We design them, program them, market them and make them work for you at an affordable price. Customers that choose us stay with us. We are comfortable with your input, at any level. We can design from an idea or layout or we can develop your site 100% from our team. Everything we build is by quote so you know the exact cost before we start. No hidden fees and no contracts are needed plus no money down. Google SEO, Adsense, Adwords and Analytics along with CS Cart, Shopsite, Thawte, OpenSRS & more, CDG works with industry leaders. No company you are considering knows more about search engine optimization than CDG. Our customers profit from SEO. Our first few discussions are free. Talk to us on any subject for information and if you don’t choose us, that’s okay, you might be back. With responsive design, CDG can create one, well planned site that will be optimized on every device and every screen size. 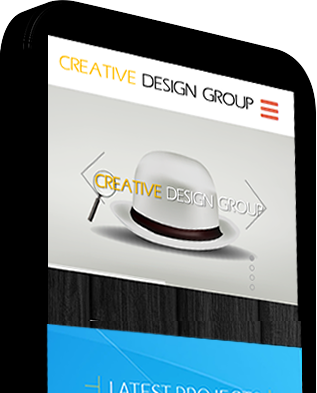 With mobile design you will have two websites, one for the PC and the other for smaller devices and smart phones. Both style sites offer Google’s “mobile friendly” endorsement but your choice might not be as simple as you think. Every client discussion must include decisions on how to best market your business via tablets and smart phones. There are multiple ways to do just that with each choice being unique to each business. A CDG professional will talk with you about the possibilities and how your company can best use the power of smaller, more portable internet access devices.